Squash House Quilts: Vintage Find! Yesterday Mr. Squash and I took an impromptu trip to a seldom visited antique mall in town. One of the things I love about being retired is the ability to do this! We're finally getting some rain which I hope will help melt the terrible ice-encrusted snow we have - I'm not getting enough of my daily walking time! However, I did manage to walk the aisles of the antique mall and look what I found! It is a vintage, Presto "sealed" coffee jar! One particular booth had lots of them - all in nearly perfect condition - just missing the coffee that originally came in them! 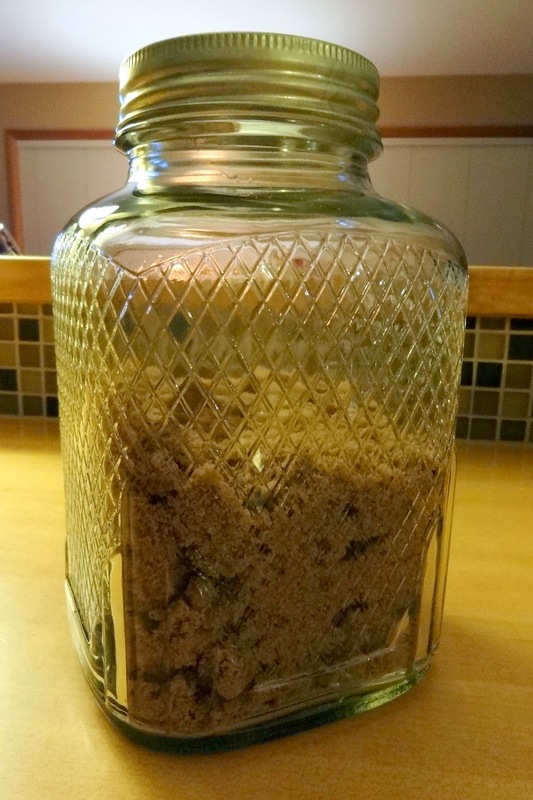 I've been looking for a nice jar to store brown sugar in, and decided the biggest one they had was perfect. 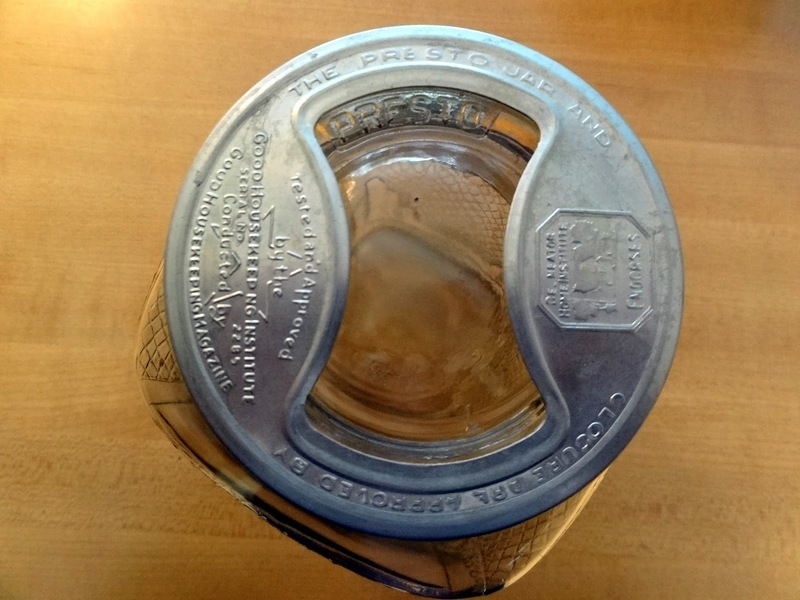 The reason I say "sealed, is that it not only has a ring on top, but another glass lid underneath. You can click on the photo for a better look at the writing on the metal ring. 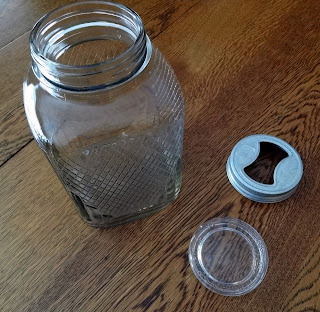 I suspect the glass portion of the lid might have had even another seal on it that may have been disposed of once the jar was opened. I love that it has the Good Housekeeping Institute Seal of Approval! My mother was quite fond of anything with that seal! Good Housekeeping is still one of my favorite magazines, too! 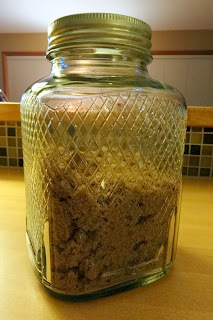 Here is the jar filled with dark brown sugar. I have a feeling I'll go back for more of these - they came in all shapes and sized - perfect for things like sugar, flour, coffee, etc.! I don't believe I have ever seen a ring like this one. Good find and they make nice canisters. What a neat find! Makes me ewant to go antiquing! What a great find! I agree that getting different sizes and using them as a canister set! GO!!! RUN!!! Beautiful jar! I recently bought a small jar with a metal lid like that, but I didn't know what its purpose was. I just liked it, so I bought it. Good Housekeeping seal of approval and all! Love the quilt design on the jar. :o) I'm not familiar with these type of jars but this sure is a pretty find. What a pretty jar! And yes, you need to get more! Neat! I like that you can see through the lids. 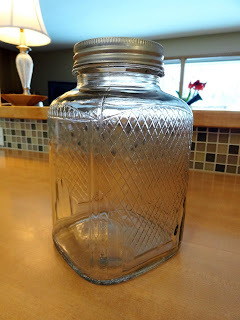 I recently found some old glass baby bottles, but bought an old milk bottle instead! I love big jars like that but I haven't ever seen seals like that. Very cool - you better go back and buy more! I bought a jar very similar to that last month from an antique store except mine has a smooth side to it. 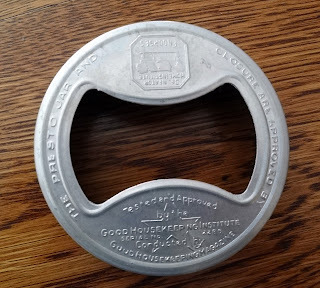 I have a zinc lid on mine. And I use it for instant coffee. Hi! so, i'm think'n it is your birthday today?! 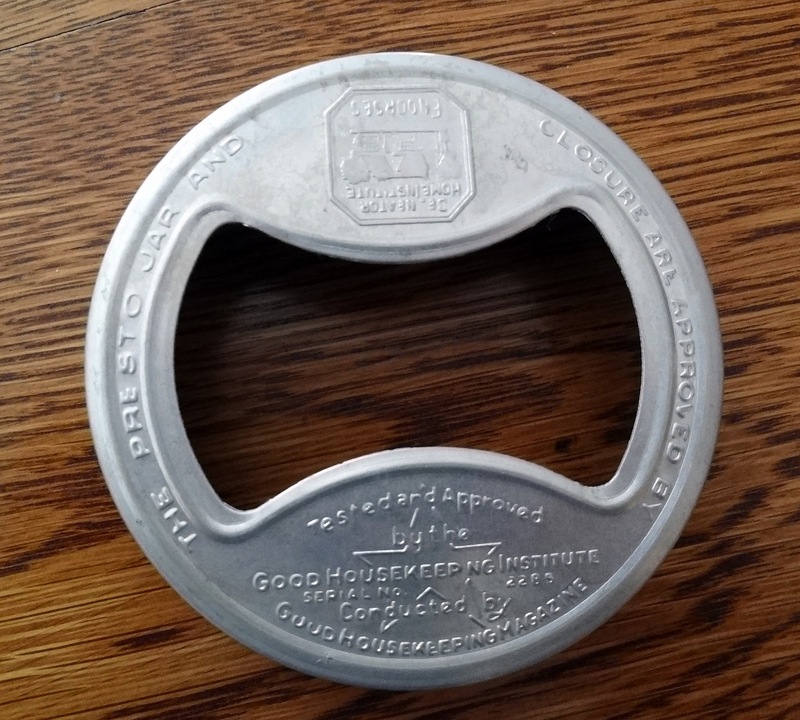 left you a message on MQR...oh and what a great find! love it! where in washington? i love looking through antique stores! Where in Washington did you find them?